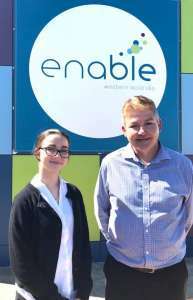 Congratulations Kate Pyburne whom has recently commenced her Cert III Business Traineeship with host employer Enable Western Australia, pictured here with Enable Chief Financial Officer Todd Falco. 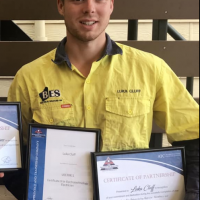 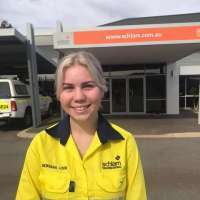 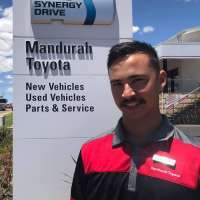 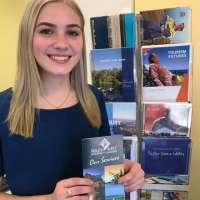 Kate was recently a nominee for both the “Apprentice and Traineeship Awards – Trainee of the Year” and also the “Apprentice Employment Network Western Australia – Trainee of the Year” whilst having successfully completed her Cert II Business. 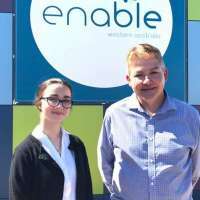 Enable having been a finalist in local and state awards in 2018 as a school based trainee. 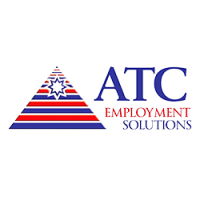 Enable are a new partner of ATC and we look forward to a great future together.